I love this book. 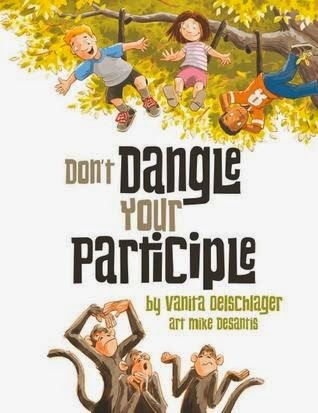 The author clearly explains what a participle is, then demonstrates the concept by comparing two similar sentences -- one with a misplaced participle, another with a well placed participle. Lively and colorful illustrations grace the pages. Highly recommend for elementary libraries and classrooms. Middle school language arts class may benefit from the clear visual demonstration of the importance of proper sentence structure. A Honey Bee explores a new area, thinking little of the creatures who call it home. Despite her less than kind behavior King Frog demonstrates kindness on multiple occasions. Brightly colored illustrations accompany the rhythmic rhyming tale. May be great as a read-aloud with elementary students as a starter for conversation about kindness to others. 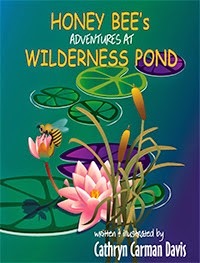 Connect the story with science, fact check the details of the story: the pond as an ecosystem, as well animal habitat, diet, and interactions with other animals. The GTSD mascot is the Stinger Bee, so this has great appeal for us! 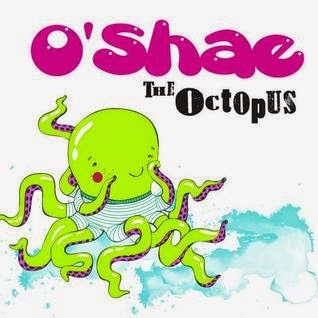 O'Shae is a happy and content octopus. He has a supportive family and a good friend. He won't let a couple of bullies ruin his day of fun. Brightly colored, full page illustrations accompany the rhyming couplets. Recommended for early elementary libraries and classrooms. Review copies furnished by NetGalley.